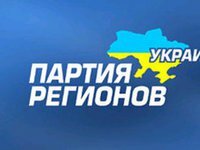 The Party of Regions should not be banned - such issues are resolved during elections, Ukrainian Prime Minister Arseniy Yatseniuk said. "I am opposed to appeals to ban the Party of Regions. Its political responsibility for what Yanukovych has done to the country is obvious but the verdict is solely up to you, voters, and no one else. People can ban any party at elections," Yatseniuk said in his appeal to the residents of Ukraine's southern and eastern regions. Supporters of Viktor Yanukovych should take him leaving as a personal defeat, Yatseniuk said. "He betrayed you - not because he left the captain's bridge and cowardly escaped the country, but because he converted your faith in him, your hope and even love into a fairy-tale luxury of Mezhyhirya [presidential residence] and in billions of dollars stolen from the budget and your pocket. His accounts are being seized world-wide. Maidan has risen against the dictatorship and corruption and rebelled for human rights," Yatseniuk said. Now it is necessary to stabilize the situation in Ukraine as quickly as possible, Yatseniuk said. "We have supported the plans of Interior Minister, Kharkiv resident Avakov on seizing all unregistered firearms… No merits can justify illegal possession of firearms! Those, who want to defend Ukraine holding a machine gun, please join the National Guard or the Armed Forces, where partial mobilization has been declared," he said.